ATX Wheels and Bowerman Trucking Know You Never Get a Second Chance to Make a Great First Impression. Matt Bowerman of Bowerman Trucking, Inc. is on the prowl. 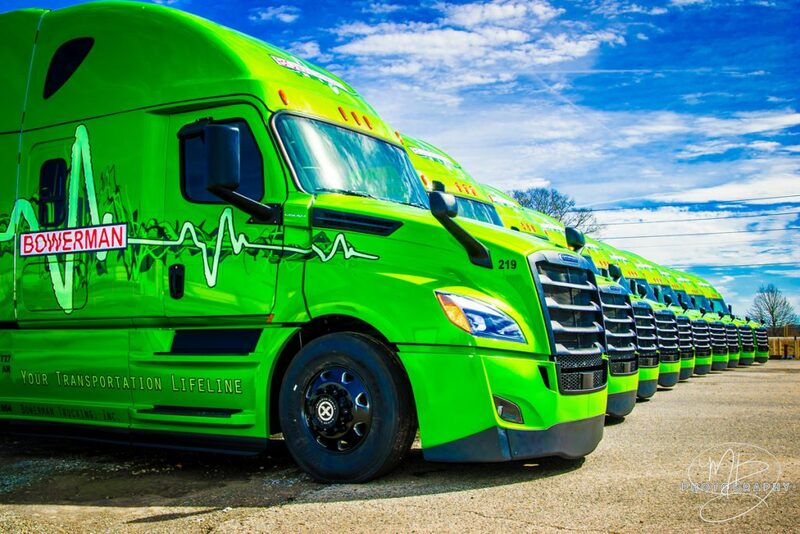 He wants to attract the best drivers available for his fleet of 63 company-owned tractors — including 11 new Freightliner Cascadias. Part and parcel of his recruiting efforts are making sure his big rigs look as good as they work. That means equipping as many as possible with American Racing ATX wheels. Matt is not committed to being a one brand company, knowing that competition among big rig manufacturers is always improving the breed. He’s also aware that to attract and retain good, quality drivers, i.e. 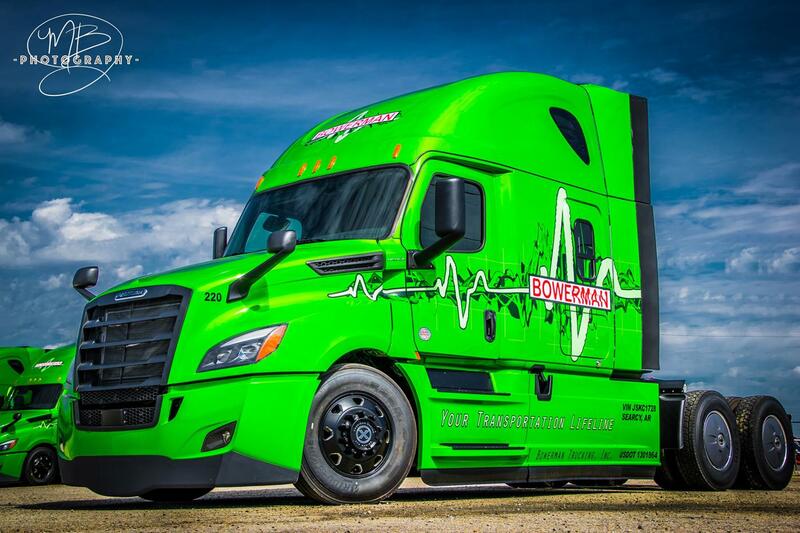 men and women who will be proud of Bowerman Trucking toward taking better care of both the equipment and the company’s reputation, they need to create a great first impression. ATX wheels from American Racing are just the ticket. A little history: Jimmy Ray Bowman was a happy, successful independent trucker who, after being diagnosed with diabetes, stepped out of the cab in 2005 and formed Bowerman Trucking, Inc. as his own operating authority. He learned how to maintain and repair the equipment, the ins, and outs of billing, parts, and administration, and with the help of his 14-year old grandson, Matt established his company as one of the very best in the South for both drivers and customers. Jimmy Matthew Bowerman and his brother, Jacob Mitchell Bowerman are now in charge of Bowerman Trucking, competing in one of America’s most challenging and difficult industries from their base in Searcy, Arkansas. And the road hasn’t been easy. In 2009, like many trucking businesses affected by the ‘crash’ they had to deal with increased competition from south of the border, rising fuel costs and the occasional crisis that resulted from other’s mistakes. From previously operating out of their grandfather’s two-bay shop on two acres of land, Bowerman Trucking now has an expansive nine-acre yard, completely fenced with the latest in electronic security and guards. They have six bays, four that are pull-through and 32,000 sq. ft. of shop space. They also have a 3,200 sq. ft. driver’s lounge with comfortable furniture and big screen TVs, a kitchen and shower facilities, free laundry facilities and all the comforts of home.